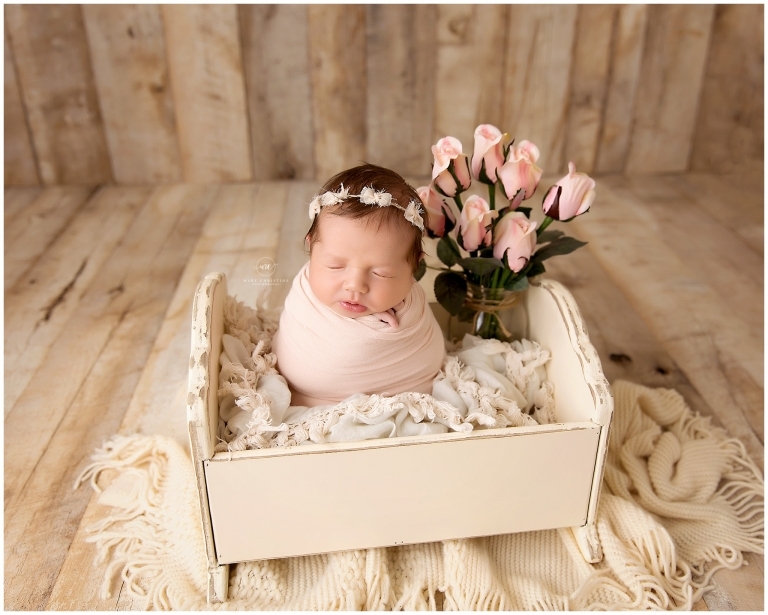 Welcome Hannah’s newborn session to the infant photography blog! My goodness, this gorgeous little lady and her family are absolutely stunning! I always love the families that I meet, and this family is no exception. They have three sweet girls and made my day when they came to the studio! This new set is my favorite! I love everything farmhouse (if you have been to our studio, you definitely know that!) and this set it the perfect style! 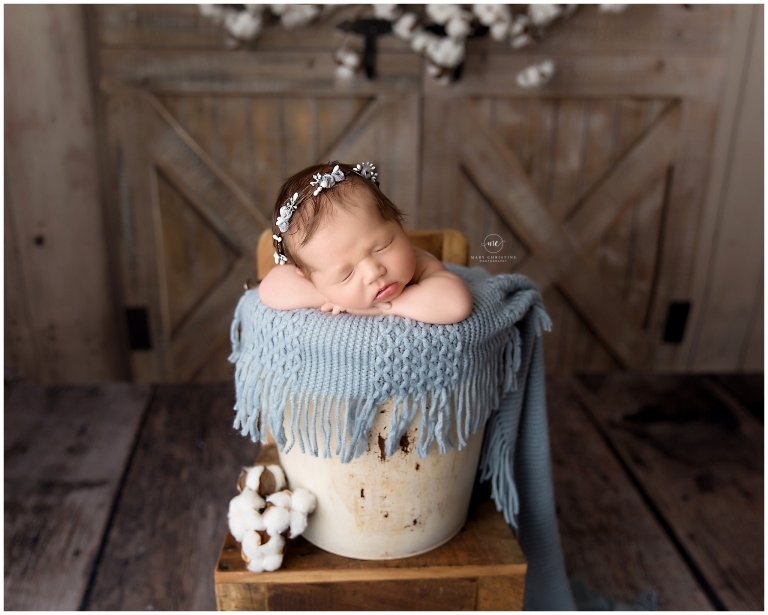 Barn doors, cotton, blue, and a sweet baby girl in a bucket sends me to heaven! Chip and Joanna would be so proud! This halo by Created By Carli was the perfect finishing touch for this farmhouse style set! Excuse me while I go frame this one for the studio. I also love a good floral and potato sack pose. Babies love this pose too since they are so cozy! Isn’t Hannah just divine? Those sweet cheeks and all that dark hair! My goodness! Ah sweet simplicity and baby rolls. My favorite! How darling is Miss Hannah? Hannah’s family photos were a high priority for the session. While toddlers can be a little unsure of the studio, we were able to get a lot of great photos pretty quickly! 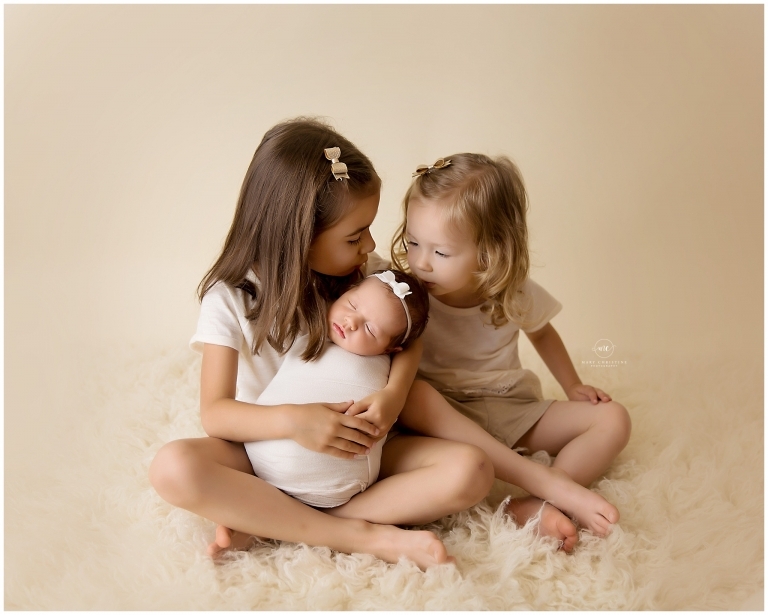 I love this one where her sisters are snuggling her. It brings out all the momma feels! Thank you so much for stopping by the blog! Are you expecting a little one soon and are looking for infant photography? Newborns are my speciality and I would be so honored to document your little one’s first days in the world! Please check out the newborn section of the blog. If you like what you see, please contact me to schedule your newborn session today!